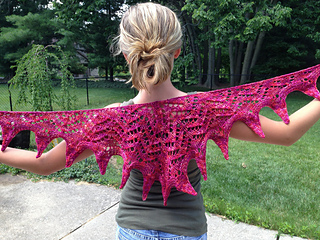 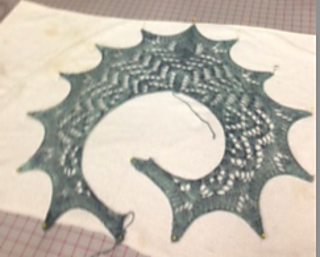 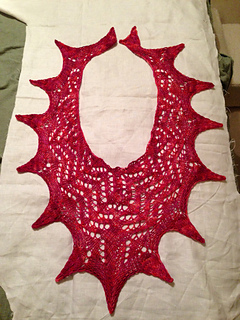 A shallow triangle lace scarf designed especially for 1 skein of Zara Hand-Dyed. 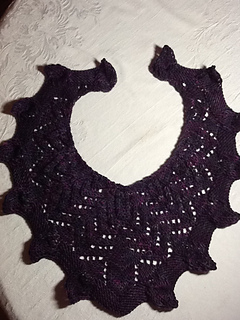 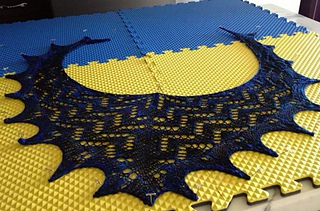 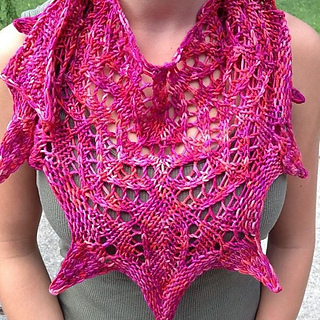 The scalloped edging uses a short-row triangle bind-off. 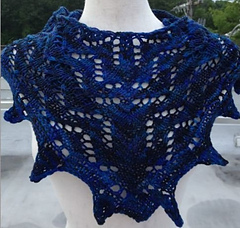 Pattern is free with Zara Hand-Dyed yarn purchase. 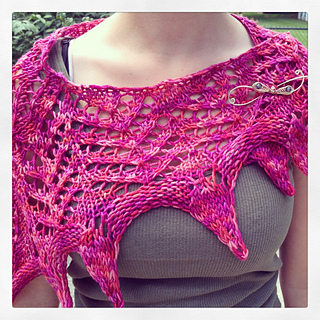 Link on yarn label will allow you to download this pattern.